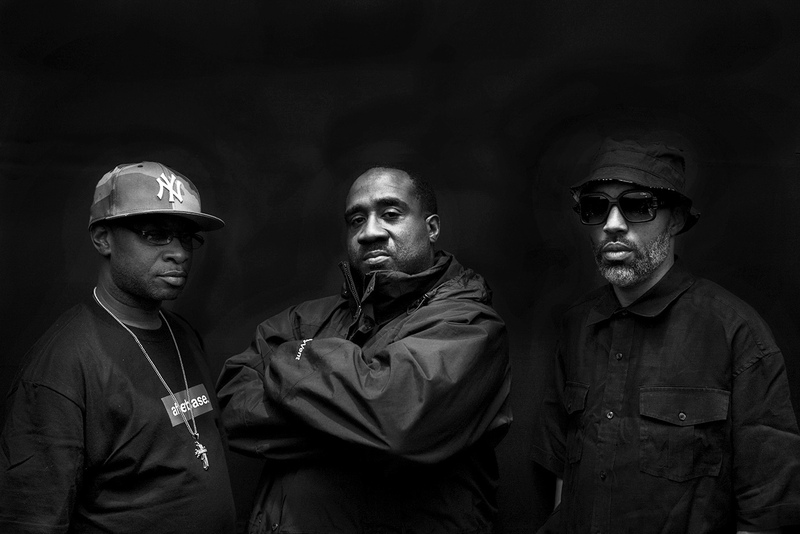 THE Jungle Brothers were a pioneering force in the evolution of Hip Hop culture and their influence over the last three decades may never be fully realised. They will be performing at Music First Festival which launches this bank holiday weekend at the The Oval, Hastings and features two days of music performed by the founding figures of eighties Hip Hop, Funk and Soul with much, much more. 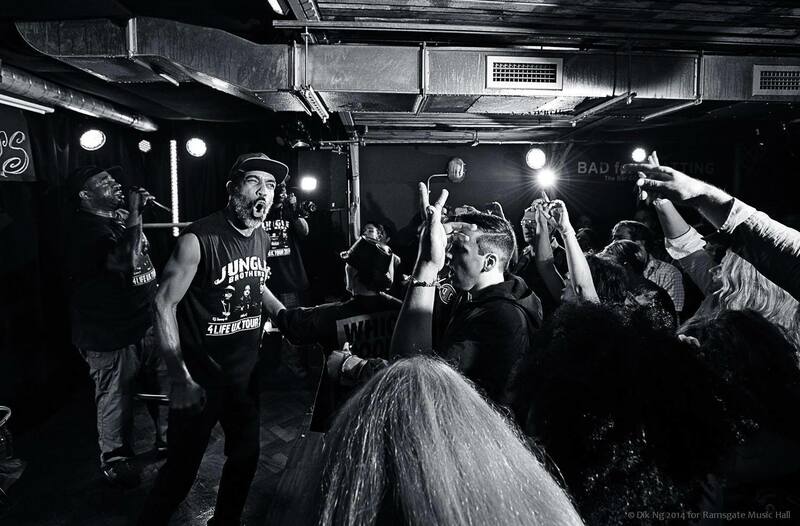 We caught up with Afrika Baby Bam aka Nathaniel Hall for an insight into his creative vision ahead of their current UK tour celebrating an incredible career that began at the grass roots of Hip Hop culture. Hi Bam, thank you for joining us – how are you? You are celebrating 30 years of Jungle Brothers this year – congratulations! Looking back over those times gone, how does it feel given everything you have accomplished and still being at the top of your game going forward. Thank you – it has been incredible! At this point reflecting back over thirty years, plus a few years before I was in the group, it has definitely been an interesting social journey to say the least! Seeing all the phases that Hip Hop went through, the trends, the different mindsets and my own personal journey with the travelling, moving from place to place such as when I left New York after my father passed. It’s like there are two paths really, they have their own story that hasn’t been written yet. Over three decades of pioneering Hip Hop music to the world is an enormous achievement, when you set out, did you ever think you could be saying that? In the humble beginnings, I had this narrative in my head before I met the band that if I’m writing poetry and I turn on the radio one day or go to a block party and hear people making words rhyme, the next logical step was realising that the pen and paper in my hands could actually be applied to an art form that was kind of DIY. I had started writing in seventy-nine but didn’t hear my first rap record until say, eighty one but I soon saw the Hip Hop culture achieve so much exposure over a five year period from say seventy-nine to eighty-four that it caught me straight away. From eighty-one all the way up to about eighty-seven with Run DMC, it had gone from something you only heard at block parties in the council flats and maybe once in a while on the radio to something as simple as the first music video I saw which affirmed to me that there were people getting behind it to support it and increase it’s exposure, I just knew it was taking off. I started looking at the things around me in my room like the boombox my dad gave me and after that a turntable and I started making pause tapes, quick edit tapes of stuff I recorded from the radio and making little mixes. I soon realised that I could contribute to this art form from home so I knew there would be some longevity to it because as much as I was interested in the music that my dad was listening to like Jazz, this new style of music didn’t require me to have a saxophone or a piano or whatever. Instead, I needed a tape machine, a microphone and some turntables and then my rhymes along with all the random sounds you’ve found from here and there – then you overdub a beat to it and you’re off. I was like wow, this is a really resourceful art form and thats the kind of person I am so it was a perfect match and I got stuck in. My dad had told me many stories of the Jazz musicians he knew and how experimental they were in being creative, in travelling to new places and meeting new people and it really inspired me to try out new ideas. They weren’t big successful popstars but they were resourceful, they created a life out of their instruments and it fascinated me. I saw the importance of Hip Hop early on as a literary art form, but also recognised the sonic art form with the deejay cutting up the beats so there were two elements going on, the coding of the language into slang and then creating new words. I was like wow this an art form that is reinventing everything, so how could it stop..? As if you could see the cultural collision that was ahead long before it happened? Yes, I could see the whole collage of it. I remember hearing ‘Art Of Noise’ which was really the furthest ’to the left’ record I had heard, which sounded like my pause tapes but the producers were in a studio doing the editing instead. I remember hearing Malcolm Mclaren’s ‘Buffalo Gals’ which was another example of music that sounded like my pause tapes, but once again had been developed in the studio environment so it was instantly relative to me. Ya know I thought, I’m doing this at home and getting results with the little amount that I had so I need to get myself in to the studio and do some more, knowing there was already an audience for it because it was a brand new sound that was constantly growing in popularity. Then there was Kraftwerk coming in with the electronic stuff, I mean the palette was Disco from the Grandmaster Flash guys but at the same time there was edited tape machine stuff and then this electronic based stuff that was more experimental which was all happening at the same time, so it was like the past and the future were colliding in the present moment, so I was like ‘woah!’. You know I can remember the first time I heard Planet Rock and saw kids doing the robot dance to it and that was it, I knew the world had changed forever. Up until that point everything was like, Blues at my grandparents house, Jazz at my parent’s house and Disco at the neighbourhood jams and then all of a sudden you heard Kraftwerk numbers and people dancing like robots, arcade games and the first consoles you plug in to the television at home to play Pong and you just knew that the world was about to change, significantly and like never before. I just instinctively knew that things were going to be so, so different from what my grandparents had grown up listening to – there was going to be so many possibilities with this new movement and technology and I was right. Samplers were available like never before, S950’s, MPC’s, SP1200’s, new keyboards – I had a Doctor Rhythm drum machine, the home based studio equipment was coming in to play. Arcades mushroomed into things our parents didn’t even understand, then there was Atari and Nintendo video games whilst Radio Shack were making home computers and whilst they were in their earliest forms, you just knew eventually they would evolve and enable you to do so much more – the anticipation was immense. It was very clear to me at ten years old that there was a new landscape being laid and we had only walked maybe just over a mile into it. It must have been incredible to experience such an enormous change with those advances in technology and the wider cultural changes that occurred as result. Well you know with kids of this generation, its all set up and all laid out in front of them so totally beyond their comprehension. You know what, I basically translated the older world into the new world, so before the ‘new world’ of technology as I put it was available to every day people, I remember my mum reading children’s books to me. The artwork on the covers of the books and the audio in recorded versions as well as everything else was interesting to me as they were the tangible mediums required to deliver the story and make it possible to understand it. So I started to get my hands on dad’s record collection which I became familiar with by playing them and listening to the sounds and the lyrics so it was a similar thing, another tangible medium used to deliver a story or a message. It got me thinking, the story was the important part and with all of the new technology available as well as the rapping and wordplay that went with it, it was another way of telling a story by taking things that already exist and using them to tell your own story and that really excited me. So now its more interactive than my mother simply reading a children’s book to me, and where I would be purely listening to the content alone, using my imagination to process the information, its not like I could cut the book up and put the results to any real use beyond the listening experience. But now I can listen to Jimmy Spicer or Spoony G and imagine what they might look like and the story they are telling but then I can also use the tape recording as I wish, being creative and editing, adapting and adjusting the tangible product as I wish. Straight Out The Jungle was a melting pot of different musical and cultural elements, the perfect example of this time period. I made the song, Straight Out The Jungle with two albums from my dad’s collection – he would have never thought to get two turntables instead of one and accompanied by a mixer, try to beat match those two records together to then sit down and write Straight Out The Jungle because that technology didn’t exist. Why would he think of taking two records, placing his fingers on them and make them match when you were only meant to play them one at a time on a single turntable? That simple idea of taking what exists and repackaging it in your own way to do something new… I wonder if the kids today or those in the future will look at this vintage equipment and do something different – what would come of it? The technology they are using now is equivalent to that which my dad was using way back back when, but they are just doing what they are supposed to be doing with it, but what happens if you try something different by experimentation? Somewhere in the middle Hip Hop came and said you can take these things and do what you want with them, break the mould! Artists do it all the time, take Andy Warhol for example or Banksy who can take a phone booth and turn it in to a piece of art – whats stopping you from doing the same? Well, so many of those experiments have been conducted already and the resultant formulas have been handed to the younger generations on a plate so many don’t see the need to break down any walls and just follow the tried and tested route that has been paved before them. Say the X-Factor contestants or the blueprint of a ‘famous rapper’ that they clone themselves on, yeah its not a bad starting point but people need to develop and express themselves artistically to really stumble upon something new but also need to use their ‘voice’ combined with the multitude of new platforms so readily available to them now to identify and connect with their audience. Yes, exactly that. Social media for instance and everything we do in the real world, we have created platforms that have made everything so much easier and more accessible such as the alphabet, the QWERTY keypad, pictures, video and your relationship with people distant from you. They aren’t new things and have been around a long time however now, instead of using purely a telephone to make a phone call you can now see the person whilst you talk to them, and you can always see where they are and what they are doing as people share so much information about their daily lives, direct and instant messaging – everything has just been sped right up and so much more information is readily available, progress can and does happen much faster. Black and white television then colour television, the first VHS cassettes then being able to record on to them and eventually being able to play programmes as and when you like, its just a constant evolution that is gathering pace the whole time. There is so much more interactivity going on, for those that want to be popular there are a number of things to consider. The first being the inventiveness with the language that Hip Hop created and the interest it garnered overtime by people who were more traditional in their use of the language, so suburban kids who were exposed to Tupac and 50 Cent and liked what they heard, and began to adopt it and ‘be it’. Kids become artists themselves but instead of writing traditional “Ooh Baby, I Love You” songs, they start rapping instead like Ed Sheeran. So they think, I can be a bit formulaic with older forms of music because I’m going to do something lyrically that I’ve siphoned off from Hip Hop, which is changing the lingo and language so it sounds like a new thing. So, Hip Hop created a huge reservoir for pop music to draw from and in turn to become ‘cookie-cutter’ because they don’t know where it came from but think it’s new, cool and interesting. The second thing to consider is, with widespread internet use – the artist, the label or just people in general realise that it’s now all content rather than a tactile thing any more. Like when you used to buy a Led Zeppelin record and hold it in your hand, feel it, look at the artwork and place the record on the turntable – you had to use your imagination too. I remember buying a Def Jam vinyl and thinking it was such a huge chunky piece of vinyl that you could cut up so good, and handle as aggressively as the Beastie Boys’ rapping – thats an experience. But when the experience is through the internet with no tangible product and there’s a saturation of releases across the board that you pick which one and when you want to hear it – you might choose one that is five years old you knew nothing about, its then that it becomes content. So the cookie-cutters go, we don’t really need to focus on the nuances of uniqueness or being inventive – we just have to study the binary code of what we are doing and make sure the ones and the zeros follow the same pattern. As a listener, you have to be discernible and analogue enough to recognise when that is happening to you. The third consideration, as we are moving in to a more electronic based sound and sound design, we went from the guitar to the turntable to the laptop – most music makers don’t even know how to play an instrument, the laptop is their instrument therefore that type of technology based music is abundant. 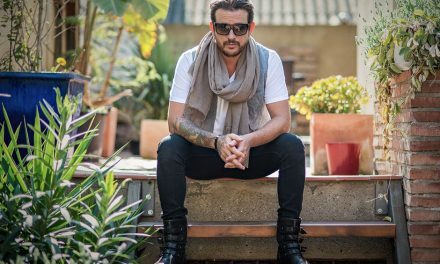 There is a plethora of it and a scene that goes with it – the EDM culture, the festivals and the bass culture like in Berghain in Berlin. Its a DJ / producer culture, thats the context which can also be cookie-cuttered as a template. It’s these three factors that have made the cookie-cutter approach very acceptable and it is still a new thing when you think about it, we’ve had the eighties, nineties and noughties of it so far. Before the eighties, we had Blues and Jazz which was inventive, so was Soul and Disco comes in afterwards, Soul was R&B and Gospel, where Disco was Soul and R&B on a dance tip. Then it gets quiet and Hip Hop comes along featuring rapping and sampling during the eighties when the drum machine arrives and goes from being the click track on Michael Jackson’s record to become the main instrument and the home studio replaces the whole band, Prince Paul did ‘3 Feet High and Rising’ without a band. It’s like a triangle that gets narrower as it goes along, first you need a whole Be-Bop band, to just the main rhythm section, to the keyboard and the drum machine winding up now with a laptop and nobody really knows what its like to walk into a room and hear a Be-Bop band, or a Punk Rock or Disco one – thats gone now, its not bands – it is DJ / producers. So this is a new fresh thing and its very efficient but we are yet to see how the dust settles – we are still the same humans with the same brains and there is a lot more hard drive space in our brains than there is in our laptops. Kids will still learn instruments regardless – we haven’t become jaded on it all just yet as its still a relatively new thing. If you look within Hip Hop, the cookie-cutter comes and we got jaded on it, for example the Ja Rule songs were great. Him rapping in his guttural voice and the girls singing on the chorus – they were great when they arrived as it was the perfect fusion of Hip Hop and R&B that worked in an authentic way. But then, it happened one too many times and people started looking for the alternative, which is why someone like Kanye West krept back in with the same old formula of putting Soul music to a Hip Hop beat with the tuning up of the vocal to a chipmunk level and now its more of a novelty. What he did, had already been done by Marley Marl twenty years earlier. So it goes to show you that just because some new guys are in town – it doesn’t necessarily mean they are going to go down the cookie cutter route, there could be an alternative to all of this which we just haven’t seen it yet. Everybody is jumping around like “Oh my god, this is so cool” when people like you and I are pulling the curtain back saying we know its the wizard back there pulling the same levers all the the time that he always has haha! Given that you saw it coming before it happened, lived it, pioneered it, succeeded in it and still remain at the forefront now and given the depth and complexity of your perspective, it must be incredible to watch it unravel at the pace it is now compared with those early days when you consider how much faster, further and wider you can express yourself and also the resultant changes that occur given how much faster you can influence your audience and evolution within it. Yes that it is totally true when contemplating the areas of evolution in relation to the technological developments and also the way in which we now think about how we are experiencing these things. Now with your thoughts and what inspired them – you know exactly where the source is and you can go so in depth with what you are interested in as the information is all there and instantly obtainable. You can realise and understand the mechanics of everything and educate yourself to do the same thing yourself, but in your own interpretation. Whether thats a tutorial on how to make a Deadmau5 track or who to fix the engine of your car, there is endless information available and we are educating ourselves faster and in a more interactive way than ever possible before. This is as you say why the whole process of evolution is being expedited in every area of our lives, whether musically, politically, financially, professionally, whatever. Everything is demystified and you then realise you can create and shape your own reality. That’s not only where we are headed, more and more, faster and faster that’s where we are at – right now! Instead of being like, woah here comes the emperor – people are like, wait I’m using the same stuff they are using and therefore in theory I can get the same results. It remains to be seen what happens next – because the institutions have always been the middle man. Ya know, they would bring out the talking frog, society gets wild and they are charged a toll to get their next dose of it. But then society gets a tool that allows them to talk like the frog so the institutions need to change up their business models because platforms like Google, Facebook and Instagram aren’t going to create anything, but instead just act as a window for those frogs to talk to each other and their angle is purely advertisement and data capture, so the game has now changed. The institutions that use to monopolise the frogs are now losing their control over them and there’s no going back. This is the first step into some kind of Bladerunner type future, thats what I see – we are walking into brand new territory and its so exciting. It’s like before the technology we are talking about was so widely available, we had to sit back and wait for the results of societies experiments whereas now more than ever we are the ones conducting them and sharing the results with the rest of the world in an instant – it’s a cultural revolution that gathers more and more momentum at at progressively and consistently faster pace than ever before. Music was the beginning and the introduction of and advancement in technology has enabled us to share our creativity with the world in ways we of course couldn’t beforehand, and by doing so the journey in to the next dimensions of our evolution began. We saw the leap from analogue to digital, from Jazz to Hip Hop, from Blues to Rock ’n’ Roll and with it the changes in attitudes, behaviours, fashions, business that happened and started because of those advancements. It was like a little microcosm and now the internet is like the macrocosm – we can take examples from those little things that happened to music and begin to understand whats likely to happen going in to the future. It’s not just about Hip Hop, its about the vast amount of subcultures that are already in existence, and those that have and will develop as a result of those changes since the analog age and the results of the experiments that have lead us where we are today as a basis for what we can expect going forwards from now. Whether its House, Disco, Rap or whatever they all began from tribes of individuals that had similar visions and through connectivity expressed themselves and the results were the foundations and development of a new movement, recognised and defined by genre as they are now today. The internet is bringing all of that to the forefront and you can explore all of it, instantaneously from the comfort of your own home. That will always continue when new connections are made and they are happening faster than ever before. Music in the broader sense as representation of emotive expression forms the basis of a universal language that is spoken globally via the internet and on a human scale through interactive encounters with each other in the real world. Yes, precisely look at the festival culture that is so prevalent around the world now, Music First Festival being the perfect example or say Burning Man in the states or BoomTown over here too people build these whole immersive cities that are totally self contained. They provide the landscape for expression and the opportunity to embrace each other among similar minded folk. Creative people gather on mass to demonstrate and celebrate what they can do with musical performance, laser lights, stage production, sound, costumes, set and prop designs, different cuisines, alternative cultures and everything else imaginable that can be found in such an environment. People are going back to these festivals year on year in a kind of pilgrimage so the cultural behaviour that is taking place is off the grid and in the safety and comfort of similar minded people. It’s more than just the music, its the interactivity and connectivity among us as a whole, the collective energy and its a very powerful force that energises you. Think of that feeling when a huge crowd of people are immersed in a moment of togetherness, maybe singing a song together or showing appreciation for a artists talent, its tangible. Theres no boundaries in terms of walls and buildings as your not in a big city any more and you’re closer to the earth in the natural sense because of the rural surroundings they are often set within. The mutual appreciation of the festival setting that the people in attendance anticipate and enjoy means their guards are down and they are more carefree, they embrace each other more and are often so much more open minded. Its a place to be more empathic. It’s one thing being sat in the comfort of our homes, on our laptops, iPads, mobile phones or whatever but it is restricts our natural sense of empathy towards each other because there is no human interaction. At a festival, there is a vibe among us where people feel more comfortable to express themselves in an empathetic way and we definitely all benefit. Festivals before were just like outdoor concerts instead of the global communities they are seemingly so much more these days. Ok raves have always offered a degree or so more of drug induced empathy and an underground culture developed from that, particularly musically and tribally as you had to know about it, to know about it and it was still new too. I would say they are the only places remaining now where we can be like we were in the seventies when cities weren’t so populated and we were hanging out playing bongos on the street and the radios were playing out loud but it wasn’t a problem, people accepted it as part of their community. Have you ever noticed how behaviours have changed, you could go into a neighbourhood park and you would hear the latin man playing the bongo drums in the middle of the night and nobody complained, it was fine. The boombox came out and and people had a certain tolerance for noise levels and there was a certain vibe with the music – nobody complained about that either. Overtime, the laws changed and it became a public nuisance that you could get fined for! Then the walkman comes out and before you know it, everybody has become so much more insular and less willing to interact as they are walking around in their own little private bubble. Now the neighbourhoods are quiet as are the street, everyone is walking around with their headphones in and keeping themselves to themselves and they don’t emphasise with each other no more. How can you tell what we are all like if we naturally hide ourselves away from each other as a normal mode of practice? Whereas before your boombox could be your advert for making new friends! We need that back and that is what we find at the festivals if we are going to find it anywhere at all anymore and we need to encourage it, embrace each other and connect at every given opportunity. The spell is broken in that environment, it makes a healthier society and thats why music has always been so important and always will be. The trouble being in that the machines are becoming so much more efficient in our day to day lives, that human interaction is reduced more and more and wherever possible to reduce costs and maximise efficiency. The machine is becoming more efficient with its algorithms and binary codes, the system is running itself to the point you can go to the supermarkets now and by using self-checkout you can avoid talking to anybody full stop or even having to look at another human being during your visit. That’s if they even leave their house now to do their shopping, of course you can do it all with a few mouse clicks and it arrives at your door! More and more is being introduced in to our everyday experience and people are therefore interacting with each other less and less in person and equivalently more and more in the digital realm. Look at dating and things like that too, its everywhere and increasing all the time. The power is in our hands now more than ever. With the technology so widely available to us, the power to change is literally in our hands and the sooner we become totally self-sufficient the faster that change will happen. Look how many self-employed people there are already; Uber drivers, eBay sellers, graphic designers, content managers and marketing and so on, these online enterprises are on the increase all the time. Little to no overheads and massive reach potential means its easier than ever just like we have already described in the musical sense but in every other area of society too. We all need to capitalise on the situation and really make the most of it, by embracing it and encouraging it at every given opportunity. In the case of the independent individual, you are the pioneer of that lifestyle and you will progress in whatever you focus all of your efforts on and there is very little holding you back in the digital age. The online society is set up now so that if someone likes what you do, then they can buy it directly from you. We have set that landscape up for the millennials and its theirs to do what they will with from here on out. Also, with it comes a different mindset – instead of the baby boomer mentality of being so materialistic, to own everything, conquer and destroy, instead it’s like no we just need enough for ourselves. People working independently to achieve their own goals is great but we will always need to connect with and rely on the cooperation of others to succeed. However, it is down to us to make those connections and choose the right people to get the best results with – scratching their back in return for them scratching yours so to speak. And that inspires you to develop further too – once again it goes back to Hip Hop, its like you wanna be in this culture? Nobody’s telling you ’no’ but go home and practice and come back to me, and show me what you got! We all have that thing that we want so bad and you know that you need to grow to make it possible but it feels like you can’t grasp it, like why can’t I do what I want to do what’s in my head – but it takes time. Practice, practice, practice and you still might not see results for a long time but you just have to keep on at it and overtime things will change but its hard to maintain that optimism when things are so tough early on, but you just got to commit to it and never give in, it will happen. Going back to that formula thing again, the return on the formula is lessened now but the thing is the institutions don’t want to invest in the artist, they don’t want to wait for them to practice, practice, practice until the point they are achieving a high standard because they want results and rewards right away. The other thing is, by investing in something new and different, there are no assurances that rewards are possible so its easier and safer in many ways to stick to the tried and tested formula that has been done countless times before, but repackaged and regurgitated once again, so the art form suffers. I’m sure when Ed Sheeran was blowing up they were like, sign up a million kids that play an acoustic guitar!! It’s all about the income, not the art form and that is so often the case. Sitting around waiting for weeks and months waiting for something unique to develop that might not even work so its just easier to follow the formula. It’s like kids that play video games and use the cheat codes – they don’t then gain the experience to play the game without them! Food for thought isn’t it. Yeah man, just some observations. Hip Hop culture is a conscious thing and it’s a community. Much like peer to peer sharing, well that’s what the culture is all about – that only exists because people in that community are sharing the files with each other and in the same sense, people connect with each other and share their experiences and creativity. That is what Hip Hop is all about and has been since the beginning, not male dominance and the alpha or macho stereotypes characterised in lots of Gangsta Rap. Hip Hop jams like festivals, lyrical battles or a cypher – it brings people together so you share your experiences in real time with your friends. That’s what Hip Hop was and is, say I see Grandmaster Flash, Melle Mel or Busy Bee or whoever at a festival and you know, we just pick up from wherever we left off last time, there’s that connection that has always been there and will always remain – you are pleased to see them and you’ve been on the level since the beginning. The Rap side of it and the music side of it, its just a product and you don’t really know the person. I mean as much as I liked Biggie Smalls, I never met him and he never said anything that made me connect with what he was saying in a way that I could relate to it. It was very obvious to me that he was an emcee’s emcee but he portrayed the ‘Big Poppa’ persona and that was what he was giving a voice to, you know the material things like Versace, Cristal, the girls, the lifestyle and whatever. That’s not Hip Hop culture but its the business of selling records and theres an obvious difference in the character that an artist portrays. It’s a brand that reaches the masses instead of only the people that could relate to it because they came from that community. Thats the way it is today and has been since ninety-seven, record companies put out brands and if you’re not a brand or a cookie cutout of that brand then you are more alternative. Take Tyler The Creator for example, he’s definitely alternative but there is a pattern to what he’s doing which is that he’s like a black skateboarder kid with a suburban mentality but he’s making urban music. His talk is more bizarre, it’s a little bit street but its more of an odyssey than an actual drive-by in a real hood situation you know what I mean, its more left field. Is the pattern you mention, in the commercial sense or in an individual sense? Individual sense, because in the commercial sense people want the Gangsta Rap stereo type and they think that all black people that rap should be doing that. They should be rapping about smoking weed, being with women and having beef with other artists and trying to go from rags to riches. He is coming to the table well aware of that but doing the total opposite of it by turning it on it’s head and fusing it with something else to make it very weird and playing on the fact that he’s not the kid whose going to go to the store to buy a gun but instead will be going to buy a skateboard and that is a novelty. It’s a parody of what you would normally get. That persona has a pattern and its a nice one, its creative. He knows where the people’s core interests lie and then he f*cks with them, rather than just being weird and different and outta space somewhere you can’t find him and he’s only got a small cult following. Ya know, he’ll put some of the language in the code of that core audience’s interest but then put in the context of his background and where he comes from. Theres a lot of artists doing that now, the floodgates kinda opened on that since the battle between Kanye West and 50 Cent was won by Kanye West which was when it became apparent to record companies and even fans that we’re not just after the Gangsta Rap stereotype anymore, we wanna move on to something more progressive and creative. We don’t wanna move too far on of course! But we want things to feel and seem a bit different, so since then we’ve had Tyler The Creator as mentioned, we’ve had Wiz Khalifa, even Lil Wayne has changed his image from dope street boy to rockstar street boy kid slash swag artist so it’s a good step to allow the alternatives to be more present again like back when the Native Tongues were out and because they were alternative, they got exposure and had more presence at that time than they did during the era of lets say…Nelly. At that time the record companies were really narrowing down peoples perceptions of what Hip Hop was and that’s nothing against Nelly of course. In the time when MTV was on it big time and radio stations were playing Hip Hop twenty-four seven, they didn’t embrace the alternatives forms, they went for the hyper sexual, hyper aggressive black males with their shirts off, pouring champagne on women and making videos that look like a big wild frat boy party. They didn’t want to see the alternative to that like someone whose more introspective, nostalgic or quirky but now there’s an alternative to that which is a good thing. It’s more about the music now than it has been for a while and that can only be a good thing. 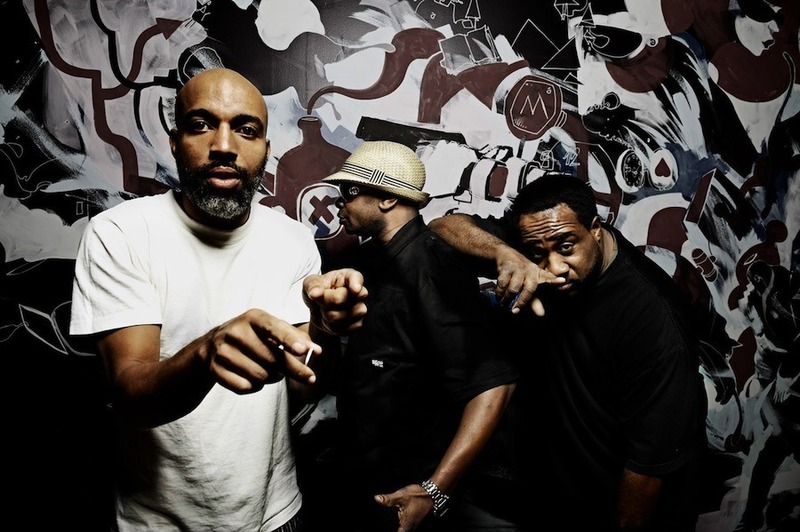 You touched on the Native Tongues – the group you set up in the late eighties with the likes of De La Soul and Queen Latifah and A Tribe Called Quest, can you tell us some more about that collective energy and creativity and what happened to the movement? Well in the early days, the jam aspect and the community aspect of the collective was heavy. I think there was a commercial pressure in general with each of the bands and there was a commercial demand for each of the bands to do things a certain way and we were young so kinda didn’t think things through. So that transition from the community and the jamming out, that was when you would come up with cool ideas and skits that you’d develop into finished material. But then a record company would say that they need another single before they release an album so you start introducing that pressure into the jam. You start jamming out, but you’re also looking at the maths of creating a song and the craft of it too so it wouldn’t just be a skit where everybody would come in and do background vocals and catch a vibe, instead somebody steps in to do the lead vocals and the whole vibe changes. Then it’s like ok, everyone clear out the room so we can craft this song we need, then when that works and its time to do another record and the next advance comes and your back at it again and trying to get the same results but its not natural, its necessary. Native Tongues worked in the onset because that pressure wasn’t there when those albums were being made. Of course, as that pressure increased the ability to deliver to to the same standards decreased and the rest is history. Fascinating stuff, moving on to the upcoming 30 Year celebration show at Music First Festival but just before we do I wanted to asked you about the Aphrodite Drum & Bass remix of Jungle Brother. The original Jungle Brother was a record I handed in for the album and unbeknownst to us it was remixed and I first heard that remix at a radio station doing an interview in Leeds. The guy played the record and he was queuing it up to play it after a commercial break and the first thing I thought was it could have been Run DMC as he just played the first beat of the record and it was an orchestral hit. I was like wow, that sounds like something from the eighties and asked what it was and he was likes, it’s yours! Then the commercial break ended and he played it from the top and that was the first time I heard it! It was a remix commissioned by G Street Records and I loved it, there was no turning back. After that, that was the version we performed in every set, it was cool. I really liked it and I think I met Aphrodite that year and Mickey Finn too some time later and we did a couple more things together too, I liked his style. I liked Aphrodite’s Drum and Bass sound, it had a lot of Hip Hop in it and Hip Hop samples which made that sound more relatable to me. The way he reinvented those samples, he made a new sound because I didn’t really know the roots of Drum and Bass at that point but that gave it context in my interpretation and I loved it straight away. 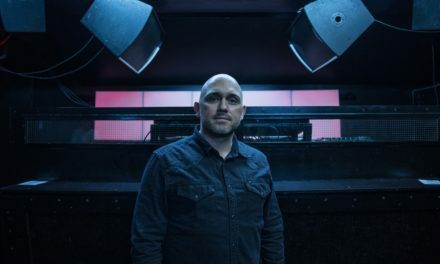 You know the owner of the gym I go to plays Drum and Bass and it’s so refreshing, the energy really motivates me – the rhythm is so determined, you just can’t help but get in to it. I’m never jaded on it, theres other forms of it of course that didn’t really get me because its either too aggressive or whatever, but good authentic Drum and Bass, sh*t I could listen to that all day long!! 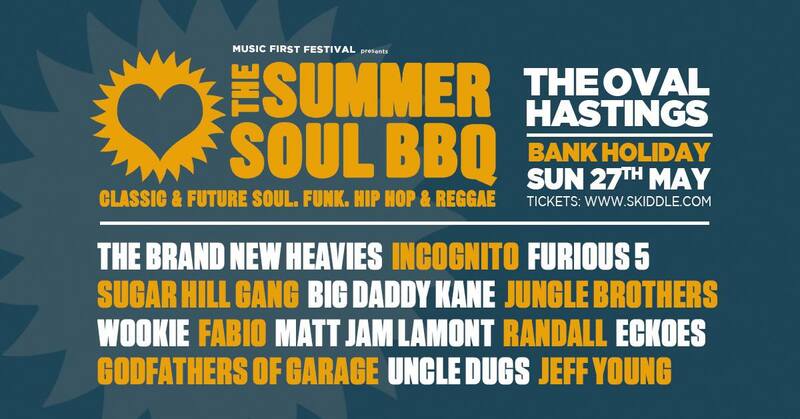 Music First Festival – The Summer Soul BBQ with 30 Years of Jungle Brothers… Sunday 27th May is soon upon us and we are really looking forward to having you on stage. Yeah man, it’s the last show of the first tour of the year and its also my birthday month so I’m looking at the last date thinking we are going to be on stage with our family man, I mean come on – The Brand New Heavies, Big Daddy Kane, Incognito, Furious 5 and in the dance tent, Marshall Jefferson who Todd Terry sampled to make Girl I’ll House You and Adamski lives down the block from me, literally a two minute walk! For more information on Music First Festival – The Summer Soul BBQ head here. 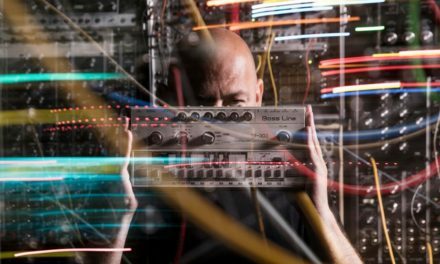 These Machines: ‘I really love what I do and changing the way I do things just makes you fall in love with it all over again’ Steve Mac recently unveiled his new project with single Martina featuring Rafael Berrio. 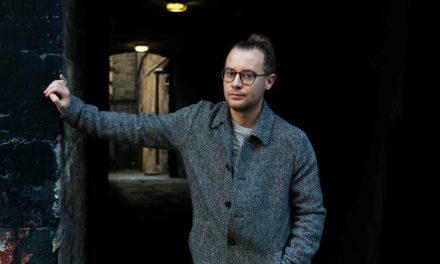 We caught up with him to find out more about his new direction and working with Danny Rampling and Irvine Welsh.